Size Small Adult 20-21.5" Med Adult 21.5-23" Large Adult 23-24.5" XL Adult 24.5-25.5 Large Child 19-20"
Red Phrygian cap made of soft cotton fleece. 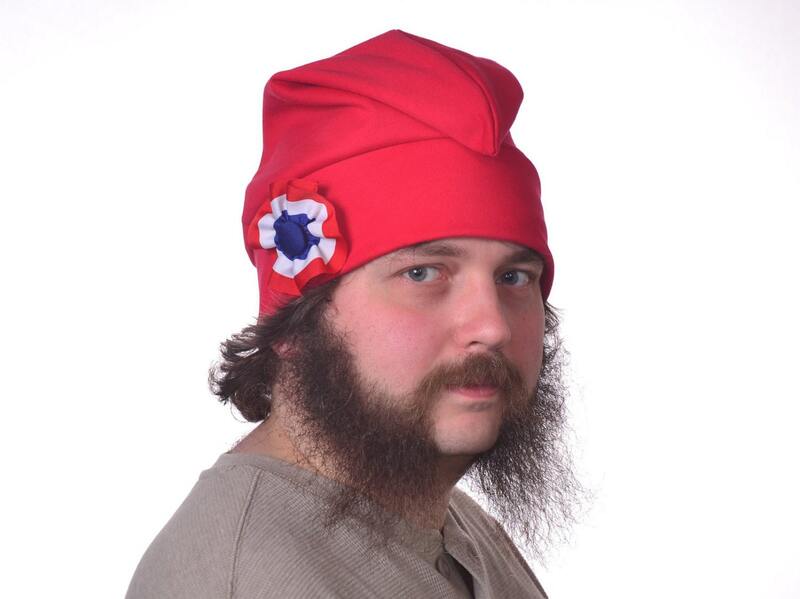 This hat is trimed with an handmade cockade in red white and blue. The cockade has a brooch style pin on the back so you can move it to the position you like best. Phrygian caps are also called liberty caps, bonnet rouge, and Albanian caps. 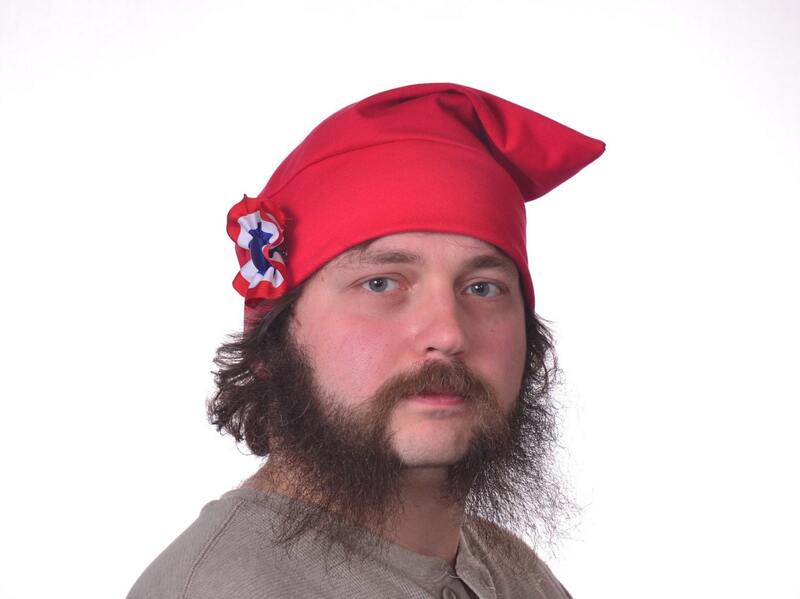 Phrygian caps are an ancient symbol of freedom and liberty. The have been worn in many revolutions including the American revolution and the French revolution and can be found in the standing liberty coin as well as the seal of the US senate. Cockades also have a long history and are sometimes worn alone, often on hats sometimes on the lapel. In the american revolution it is said that the patriots worn white cockades. The cockades can be made in many different colors and are made from grossgrain ribbon. The red white and blue stripe cockade is very traditional on a liberty cap. This hat is available in 5 different sizes, please be sure to measure along where you intend the bottom of the headband to fall. XL Adult to fit 24.5-25 inches.